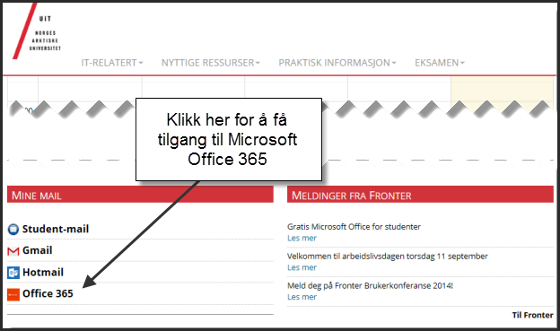 How do you access Office 365? There are two ways to access Office 365. 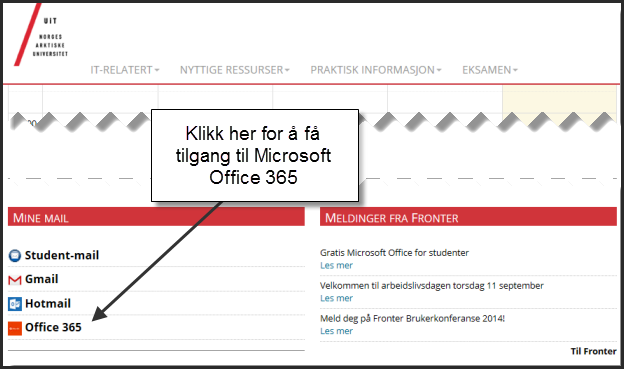 Log in from Minside (https://uit.no/studenter/minside) and then click Office 365. You log in to Office 365 with your UiT username and password. Note! Don't use email addresses like abc123@post.uit.no or name.lastname@uit.no to log in. Se also how to authorize Microsoft Office.